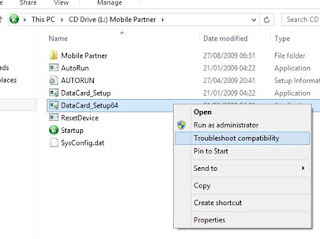 On Windows 8 system by this process. This wizard will automatically detect and help in fixing compatibility issues. Read carefully on screen wizard instructions and choose proper options. 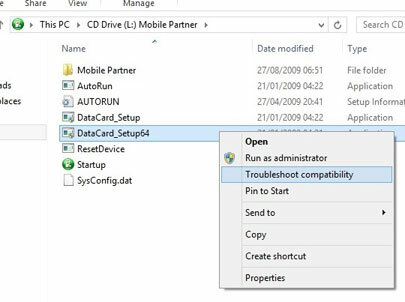 If the troubleshooter can't fix the problem, you can try changing compatibility settings manually as below. Right Click on Program .EXE file --> Properties --> select Compatibility tab --> select the required version of Windows to run. Here one or more options from setting can be selected as per the requirement (optional). 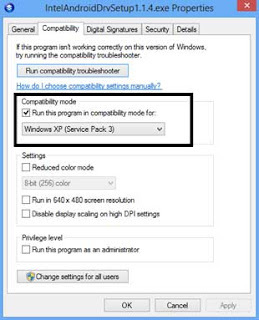 This is a manual way of applying compatibility mode setting on program (.EXE) files. 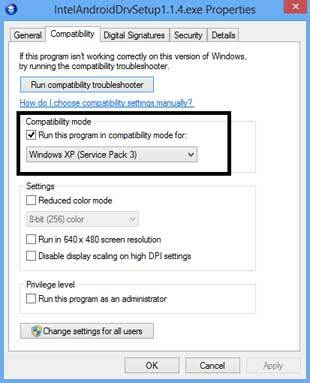 This way previous windows version program can be Install/Run directly on Windows 8 variants. Note: Don’t run programs like Antivirus, Firewall, Backup and Disk utilities software in compatibility mode, it may give adverse result.